Visit for a chance to hang out with quokkas - the cutest animal in the world! 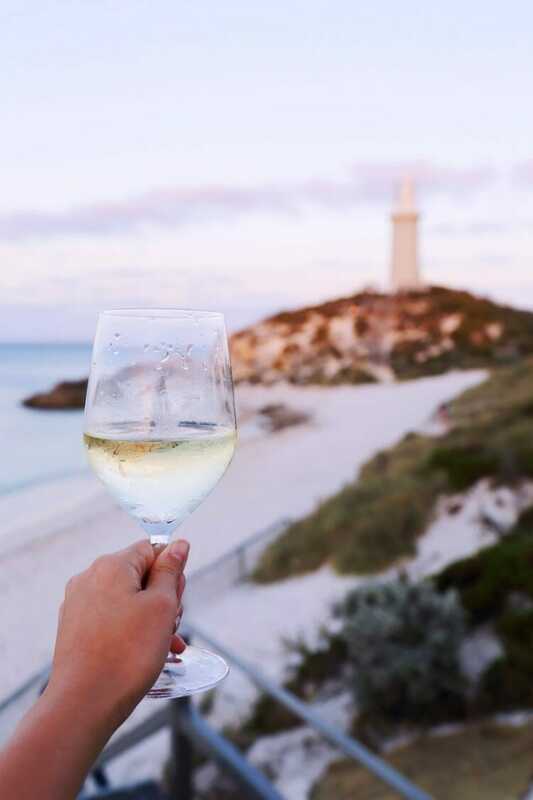 Read on for everything you need to know about planning a Rottnest Island day trip. Rottnest Island is a small island off the coast of Western Australia and is best known for its population of quokkas (a small marsupial – only the cutest animal ever), as well as pristine beaches and swimming spots. The island got its name from a Dutch captain who mistook the adorable quokkas for giant rats, and gave the island its name of “rotte nest”, meaning “rat nest” in Dutch. The island has also served as a penal colony, army barracks and prisoner of war camp, but is now a popular holiday destination. 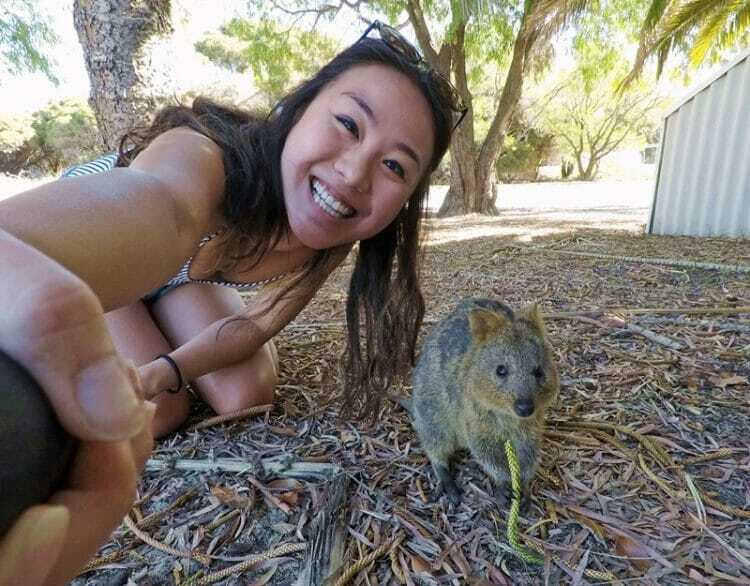 I first heard about Rottnest Island after seeing a “quokka selfie” on Instagram – chances are, you’ve seen this photo before and thought to yourself, “oh that looks like a small rabbit/large rat”. 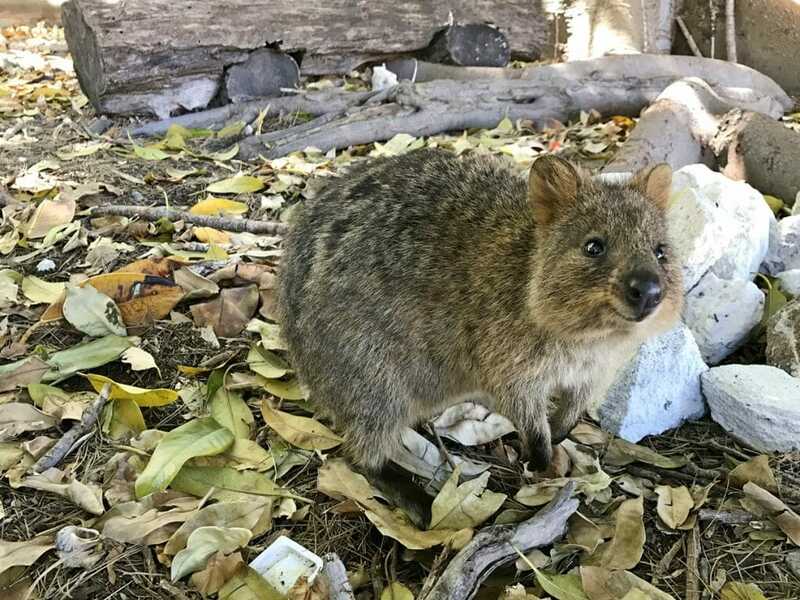 Ever since seeing one photo of a quokka, I have been, simply put – obsessed – with these animals, and have traveled to Rottnest Island twice for the opportunity to observe these marsupials hop around and nibble on greens. 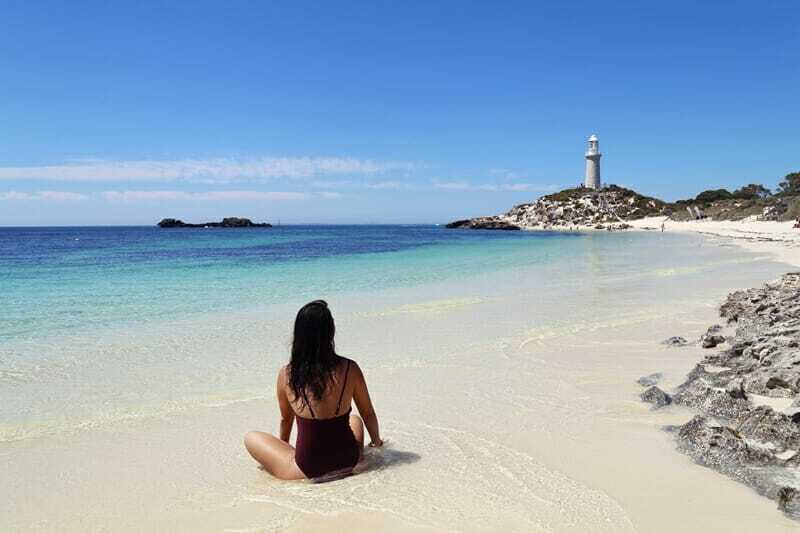 The Perth to Rottnest Island journey is easier than you might think as Rottnest Island can be easily reached by ferry from several different ports around Perth. 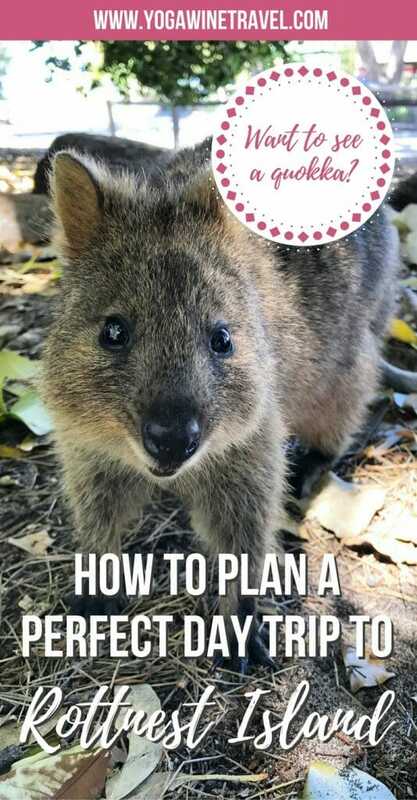 Read on for everything you need to know about planning a Rottnest Island day trip! Where is Rottnest Island? 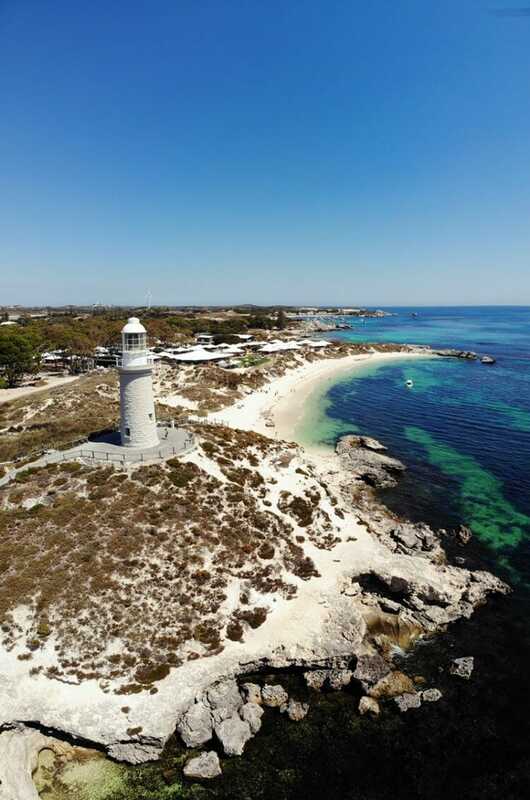 The island is about 18 kilometres west of Perth, and there are 3 ferry operators that operate ferries between Rottnest Island and Perth: Rottnest Express, Sealink and Rottnest Fast Ferries. Ferries depart from Perth City, Barrack Street Jetty Elizabeth Quay, North Fremantle (Rous Head), Fremantle (Victoria Quay) and Hillary’s Boat Harbour in north Perth. Ferries from Perth to Rottnest Island operate 6 to 7 times every day in the off-peak season and 10-12 times a day in the peak season from December to February. The ferry ride varies from about 30 minutes to an hour depending on where you depart from – in my experience, the B-Shed in Fremantle is the most convenient and offers (limited) overnight parking for $10 a day. Make sure you check the websites for updated Rottnest ferry times. If you’re planning a Rottnest Island day trip, make sure you book your Rottnest ferry tickets online ahead of time as ferries do fill up fast. If you are bringing luggage it will cost $3 per bag and you will need to make sure there is space in the luggage hold. Those who are prone to seasickness might want to pop a Dramamine before hopping on the ferry as the ride can be fairly bumpy. 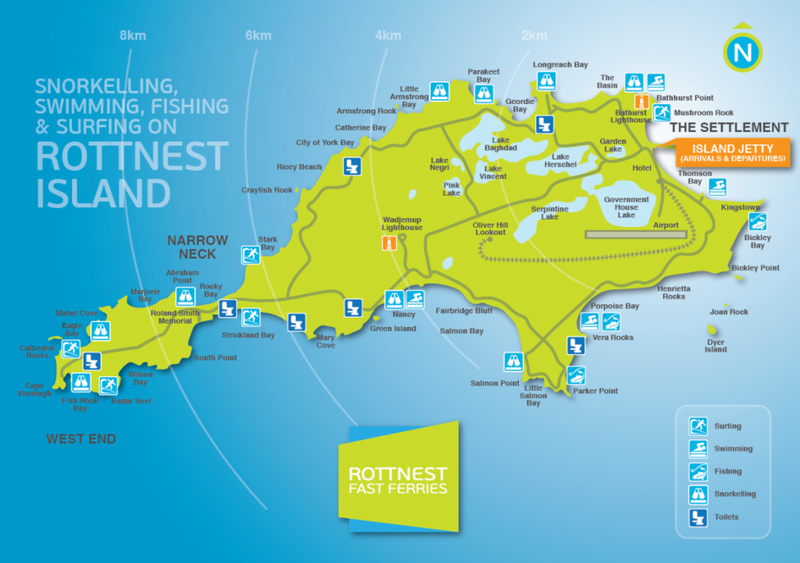 Wondering how to get to Rottnest Island? 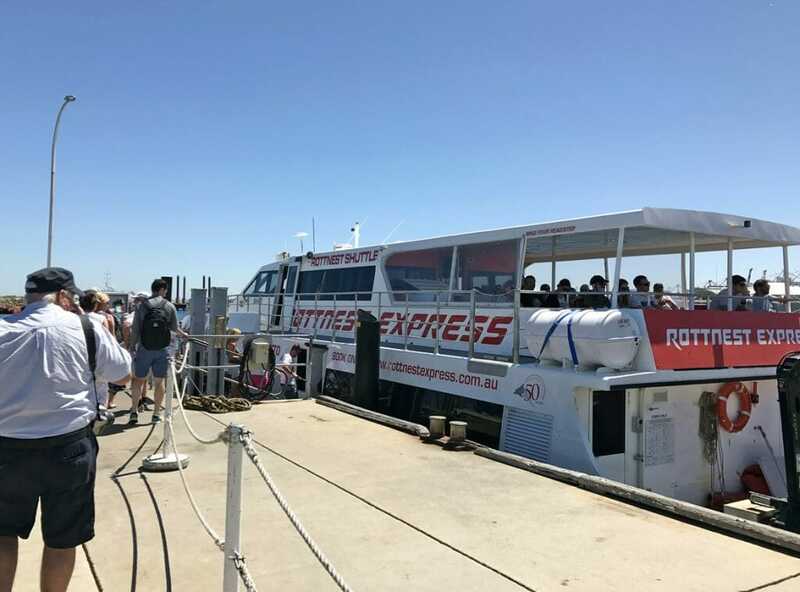 Pre-book your same-day return Rottnest Island ferry ticket in advance here – you can travel to Rottnest Island via Barrack Street Jetty Elizabeth Quay (departure at 8:45 AM, return at 5 PM, ferry ride is 90 minutes) or via B-Shed Victoria Quay in Fremantle (departure at 7:30 AM, 9:30 AM and 11:30 AM, return at 2:30 PM or 4:30 PM, ferry ride is 30 minutes). You can also book an extended stay return ticket between Perth and Rottnest Island if you want to stay overnight on Rottnest Island. Pre-book your non-same day return Rottnest Island ferry ticket in advance here – the schedules are slightly different so check your departure and return timings on the website. When you pre-book your Rottnest ferry tickets, you can also book a bicycle from the ferry operator. Cycling is the best way to get around the island once you’re there. If you forget to pre-book a bicycle, don’t sweat it as there is a Rottnest Island bike hire shop on the island: once you hop off the ferry, just turn left and follow the signs to Rottnest Island Pedal & Flipper. 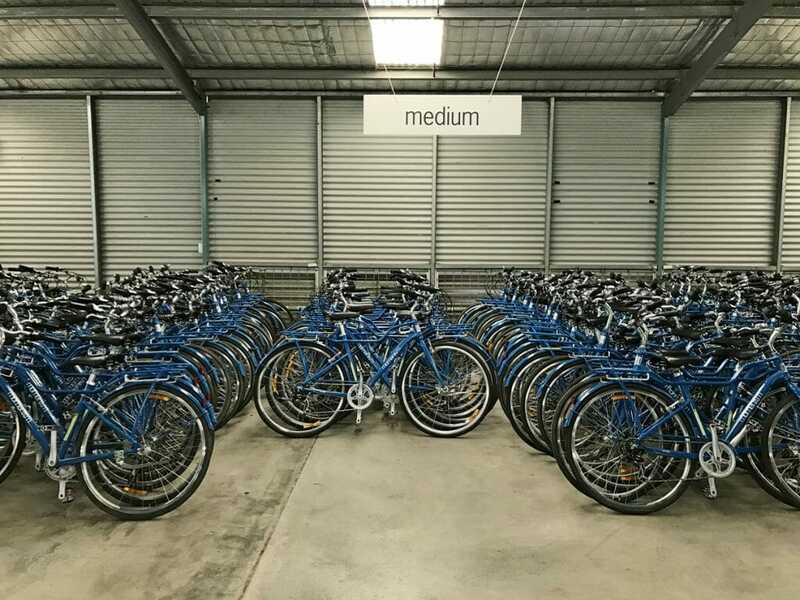 The daily bicycle rental rate is approximately AUD$30 (or cheaper for multi-day rentals) and includes a helmet (mandatory), a lock as well as bag straps if you need to tie your belongings to the bike. There are tons of different bike sizes ranging from small to extra large, as well as a limited number of e-bikes. You can also rent snorkeling gear and wet suits to explore some of the marine life around Rottnest. If cycling is not your thing, there are also local hop-on, hop-off buses that operate around the island. A 1 day adult pass will set you back AUD$20, and a child pass costs AUD$15. During our first visit, we only spent 3-4 hours exploring Rottnest Island: I would recommend trying to catch a ferry at 9 or 10 AM in the morning for a Rottnest Island day trip and returning to Perth at 3-4 PM in the afternoon for a day trip. If you are staying overnight in Perth, I would recommend staying in Cottesloe or Fremantle. Click here to check out accommodation options in Perth. 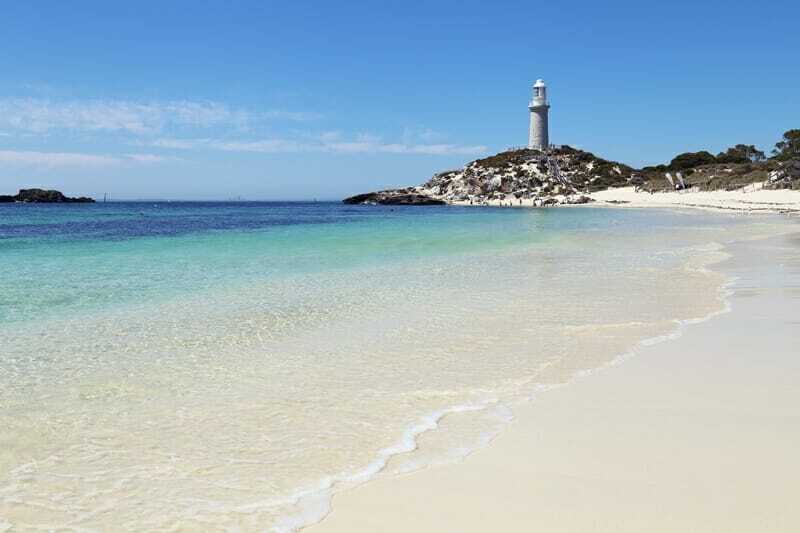 However, it is also possible to stay overnight on Rottnest Island. 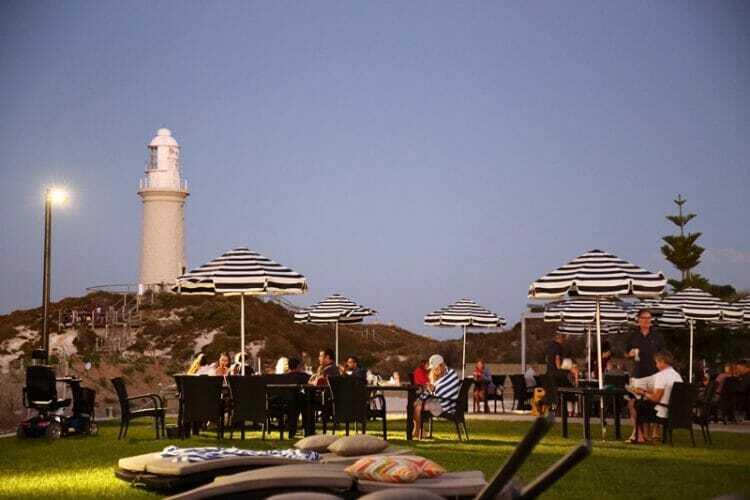 Wondering where to stay on Rottnest Island? There are a number of accommodation options but many older hotels are due for some sprucing up and renovation. The good news is that a new accommodation option has opened up on Rottnest Island and it is unique to say the least: Discovery Rottnest. 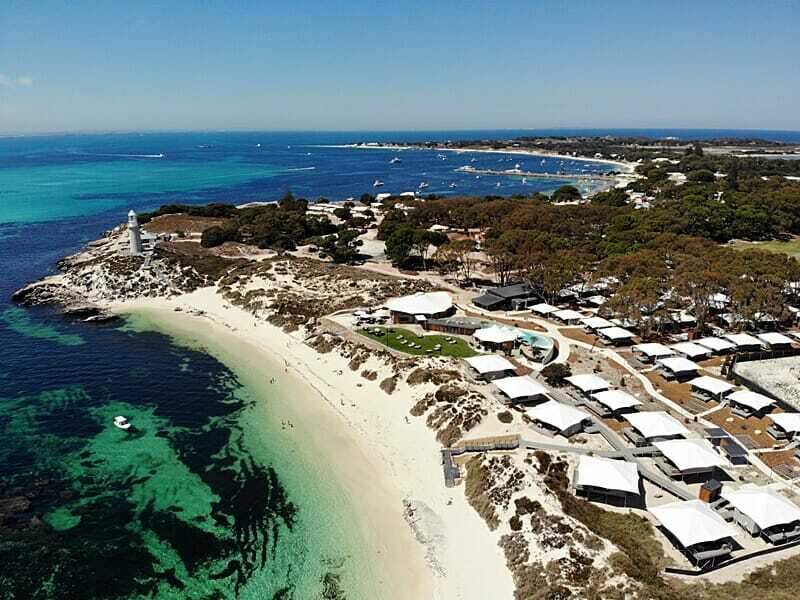 This eco-resort offers glamping on Rottnest Island with beach access to both Pinky’s Beach as well as The Basin – the location really can’t be beat. The property has a number of different room categories from the couple’s superior tent to ocean view deluxe tents; families are welcome and there are a number of family tents equipped with bunk beds for the little ones. We stayed in a couple’s superior tent along the roadside, and were impressed by how spacious yet cozy it was. As I’m not much of a camper, you can imagine my delight when I saw the bathroom. There is free wi-fi, an onsite restaurant, a pool and pool bar as well as several communal barbecue grills for those who want to self-cater. 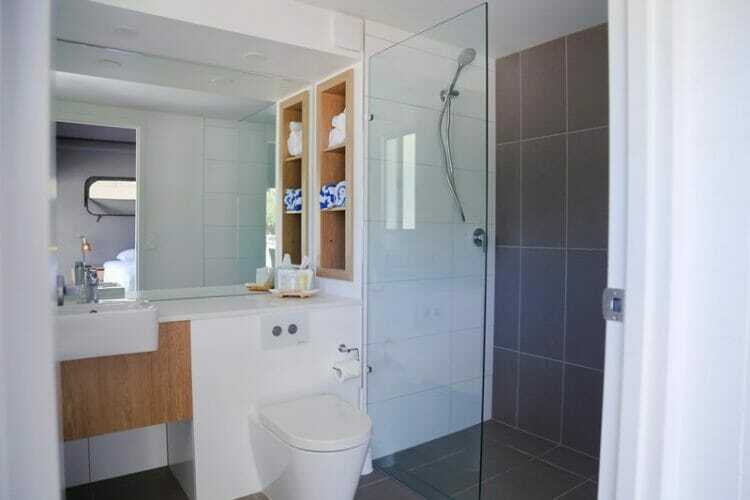 Click here to check current rates at Discovery Rottnest – make sure you book early, especially if you are visiting during the weekend or public holidays as they are often fully booked. You can read my full review of Discovery Rottnest Island here. Remember, Australia is in the southern hemisphere which means that its summer season runs from approximately November to February. It does get very cold during winter and autumn, so the beaches are not going to be fantastic during those months. Over the years, Rottnest Island has also become a popular destination for high school graduation trips, or “Schoolies week”. This celebration usually take place during the first 3 weeks following graduation beginning in mid-November and is not a great time to visit Rottnest Island, unless you want to be surrounded by intoxicated 17 and 18-year olds. You’ll also want to avoid public holidays and the annual Rottnest Channel Swim (February) and the Port to Pub Swim (March) as the small island does get extremely busy. I recommend heading to Rottnest Island on a weekday between November to February, but the weather is also pleasant on either end of the peak season in October or March/April. Making the trip from Perth to Rottnest Island is rewarding in more ways than one. 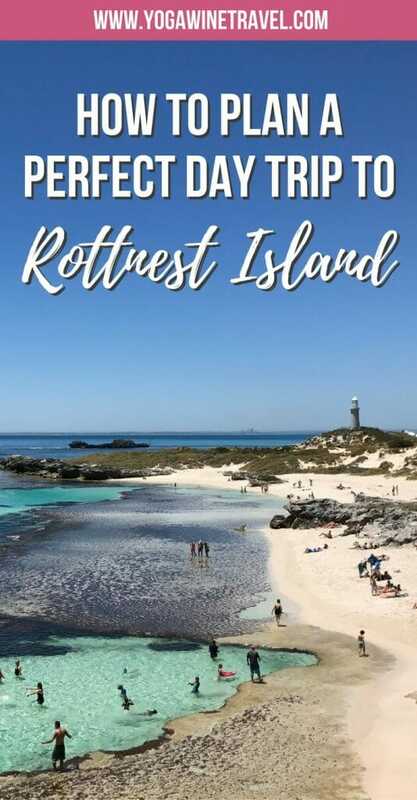 There are a few Rottnest Island tours that run throughout the year, but to be honest it’s such an easy day or overnight trip from Perth and the island is small enough that you really don’t need to join a tour. Grab a bicycle or hop on the local bus and you’ll be able to cover a lot of ground by yourself! 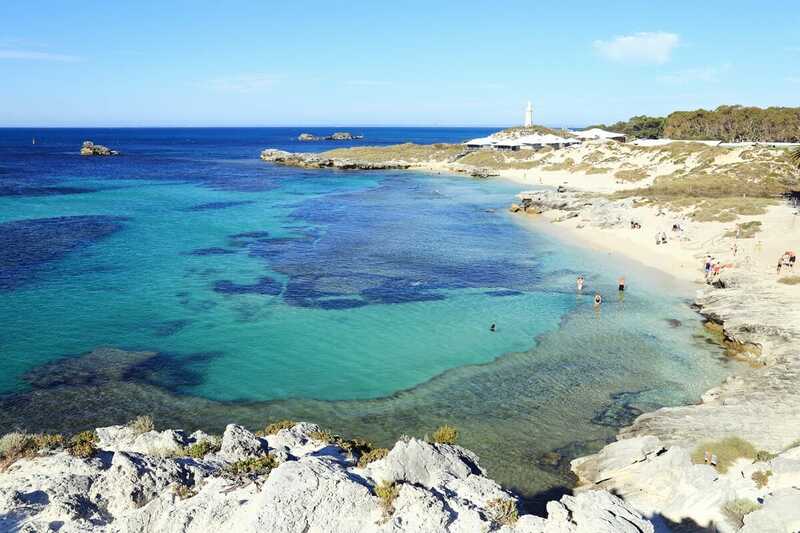 Read on for what to do and see on Rottnest Island. First things first, you absolutely must see THE QUOKKAS! Seriously, these marsupials are incredibly adorable and always look like they are smiling. They roam around the island freely and can often be found hiding out in the shade or eating berries off the ground. 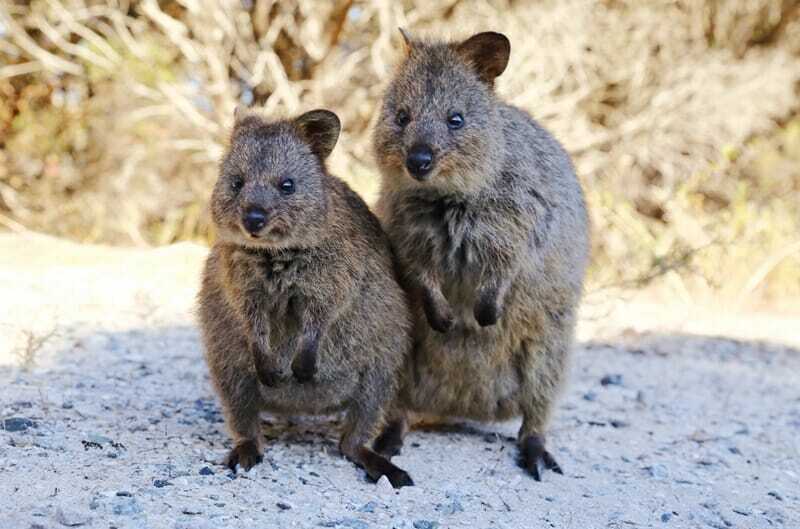 Though they can be found elsewhere in Australia, they have thrived on Rottnest Island as there aren’t really any natural predators. They are extremely tame so you can get quite close to them to take photos (turn the flash off!) 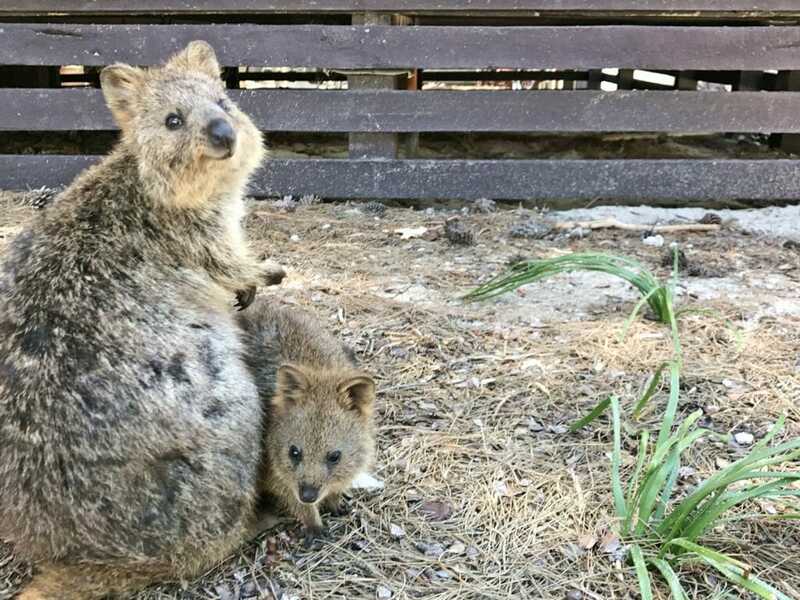 but it is illegal to feed or touch them – you could even be fined $150 on the spot for deliberately interfering (including feeding) wildlife on Rottnest Island. The Quokka is a vulnerable species, and if not protected could become extinct. You should also wait nearby and allow them to approach, and do not tempt them with food or water if they are feeling camera-shy. This is the moment I knew my life was complete. Yes, I know there are a lot of quokka photos! Sorry not sorry! The best time to try to spot a quokka is in the early evening or when it’s cooler. They are nocturnal but you will find a few scattered around during the daytime. Rottnest Island is also home to some incredibly stunning beaches and you can hop from one to the other in a matter of minutes. Don’t miss The Basin, a swimming spot with crystal clear waters which also makes it a perfect place for snorkeling. Make sure you also check out the neighboring Pinky’s Beach, a stunning and quiet beach with Bathhurst Lighthouse in the backdrop. The best part? Pinky’s Beach Club where you can grab a vino or cocktail! Head west and also stop off at Parakeet Bay, a smaller and less crowded swimming beach. Porpoise Bay to the south is also a pristine white sand beach that you can lounge on for a few hours. 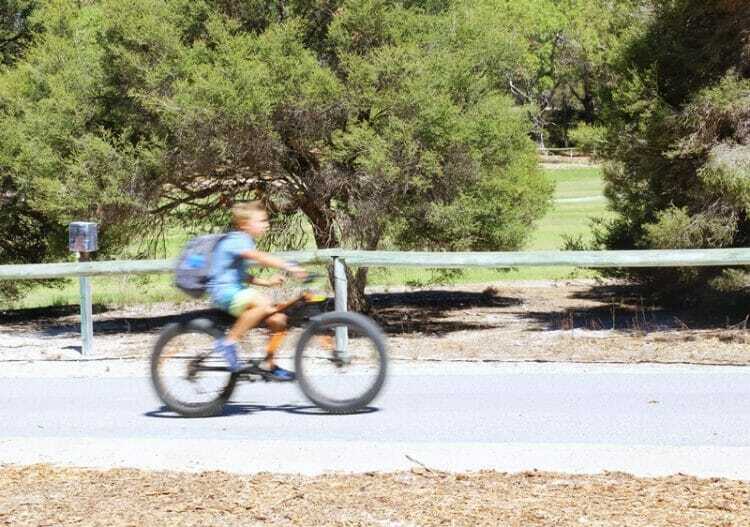 Cycling is one of the best ways to explore Rottnest Island. It can take anywhere from 2 to 5 hours to ride around the island depending on how many stops you make, so if you are only there for a day trip I would recommend doing a small loop and heading to the Basin, Parakeet Bay, around Lake Baghdad and the Pink Lake, across Lake Herschel and back to the ferry pier. 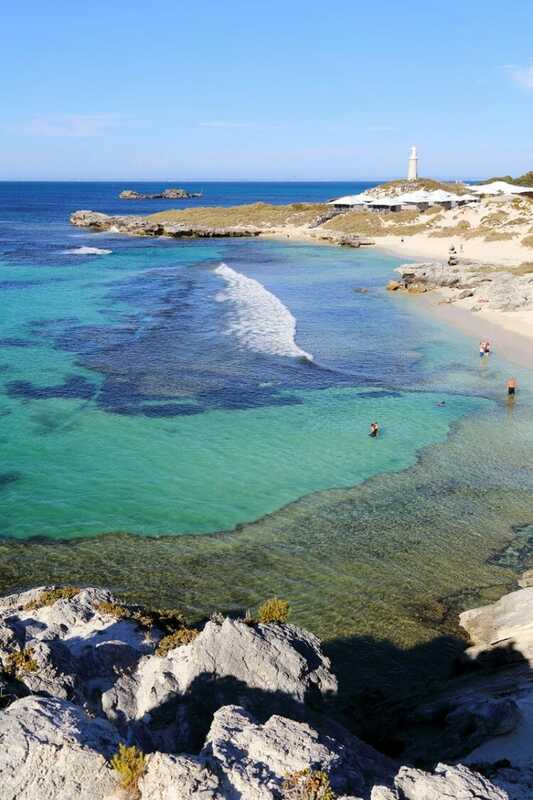 If you have more than 1 day on Rottnest Island, you might want to make your way over to Wadjemup Lighthouse or Little Salmon Bay and Henrietta Rocks. Feeling ambitious and up for a more strenuous ride? Head west all the way to Cathedral Rocks, nearly 11 KM away from the main ferry terminal on the island. We didn’t make it to Wadjemup Lighthouse, but you can climb to the top during guided tours – tickets are available from the Visitor Centre and tours begin at 11 AM each day and run every 30 minutes until the last tour at 2:30 PM. Tickets cost $9 for adults and $4 for children. Bathhurst Lighthouse is also a slightly shorter lighthouse close to the ferry pier, though it is currently closed to visitors. For the fearless, take to the skies and try your hand at skydiving – my idea of fun doesn’t entail free-falling at 200 kilometres per hour but to each their own! Looking for something tamer? 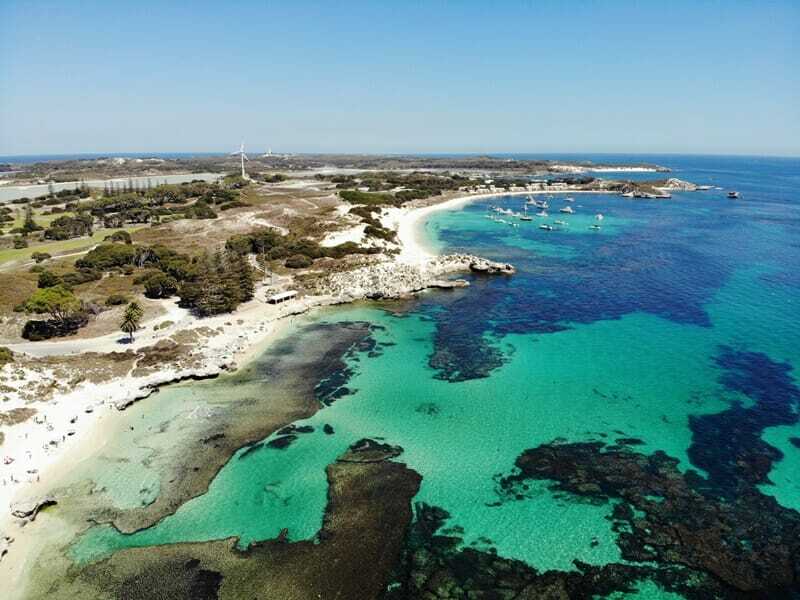 It’s also possible to hop on a 10-minute sightseeing flight around Rottnest Island for $65 per adult with Rottnest Air Taxi. For even more ideas of things to do on Rottnest Island head on over to the official website here. 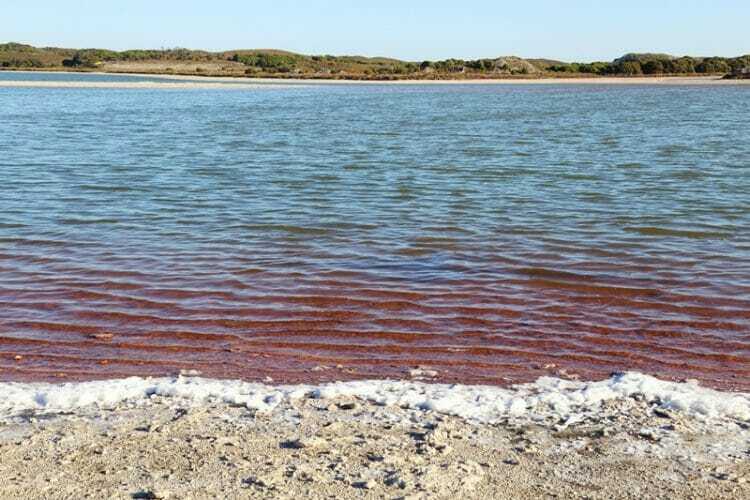 Bring a printout of your ferry ticket, motion sickness tablets for the ferry ride, swimsuit, lots of sunscreen (reef-safe if possible), sunglasses and a towel for your Rottnest Island day trip. Food and water can be purchased from a number of restaurants/bakery on the island, but you should also bring your own water bottle as there’s tons of places to refill your bottle for free. While the days may be steaming hot during the summer season, the evenings and early mornings can be bitterly cold – bring some warm clothes if you are staying overnight on Rottnest Island. Have you ever done a day trip to Rottnest Island or stayed overnight? What was your favorite thing about this destination? Remember, ferries book up during the peak season so pre-book your same-day Rottnest Island ferry tickets here or your round trip, flexible return ferry tickets here. 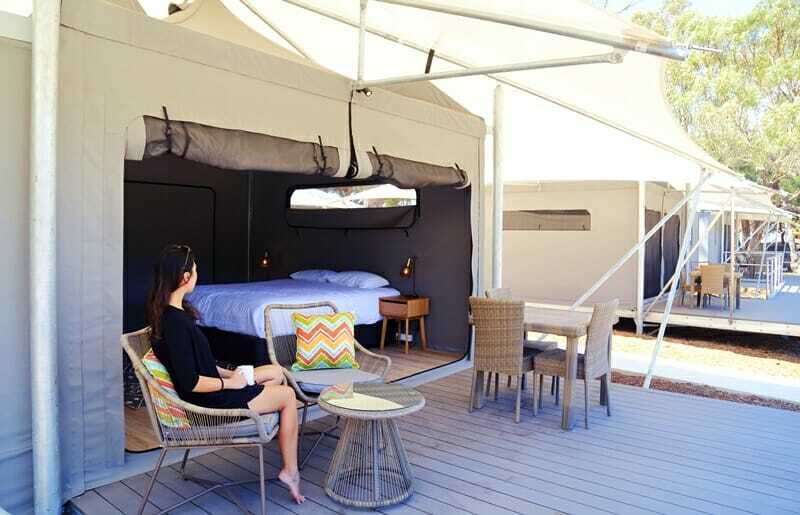 If you’re ready to book your trip, click here to check out accommodation options on Rottnest Island or head on over here to check availability at Discovery Rottnest’s glamping tents. Alternatively, you can stay overnight in Perth in Cottesloe or Fremantle. Click here to check out accommodation options in Perth! 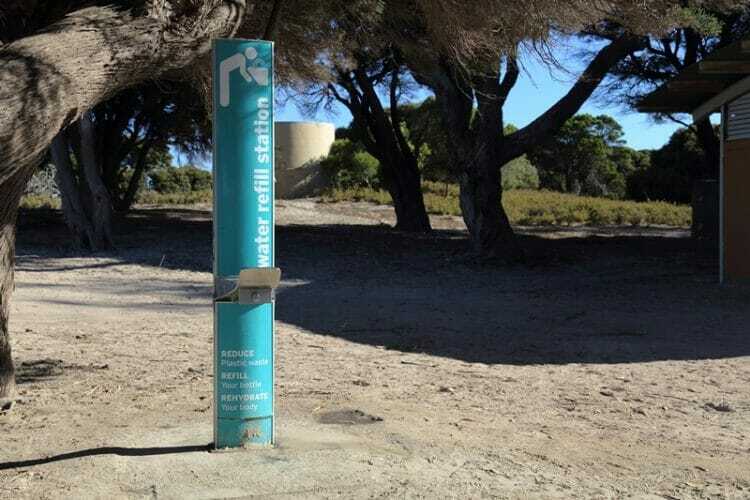 Planning a Rottnest day trip? Pin this for later! My stay at Discovery Rottnest was sponsored; however, no compensation was received for this review, and as always, the opinions on Yogawinetravel.com are (and always will be) my own! I only recommend products, services and hotels that I have had positive personal experiences with. Oh I’m so jealous! 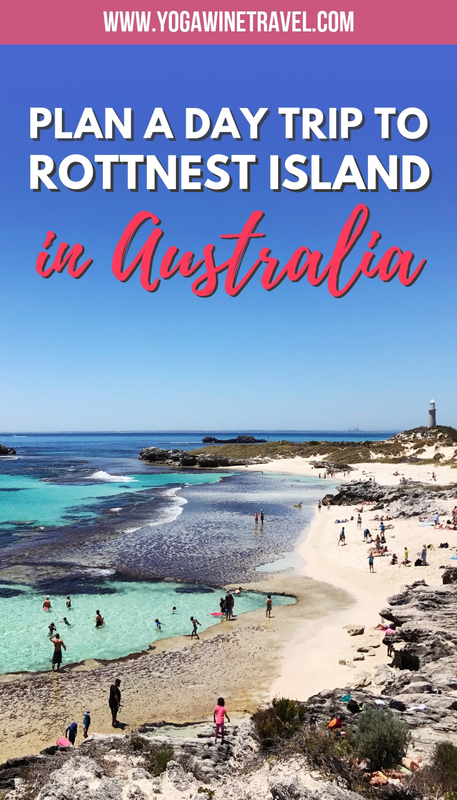 We would have LOVED to visit Rottnest! WA was the only state we ddnt get to visit in Australia! Looks woderful, and the Quokkas are soo cute! Amazing pics and information love it! Next time you’ll have to go back! If you head down south to the Margaret River region there are amazing vineyards too! Love the quokkas! I took a million photos as well when I was there – no shame haha! You had beautiful weather too by the looks of it. I’d love to go back in the summer and enjoy some snorkelling to cool off after a cycle. Oh my goodness, I wish I saw a baby quokka! Haha I am so obsessed too! 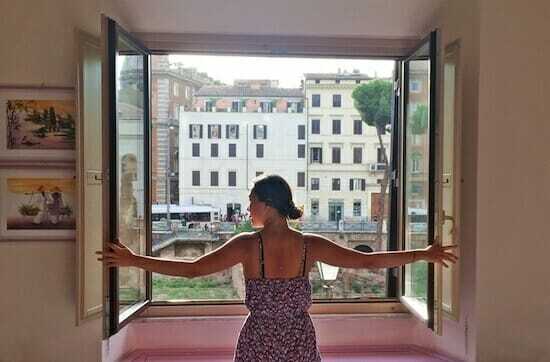 I need to go back again soon! If you make it to Australia you’ll have to spend a few weeks there to make the flights worthwhile! A lot of people who live in WA that I spoke to had never been to Rottnest before! It happens with me and Hong Kong/nearby destinations. OMG!!! 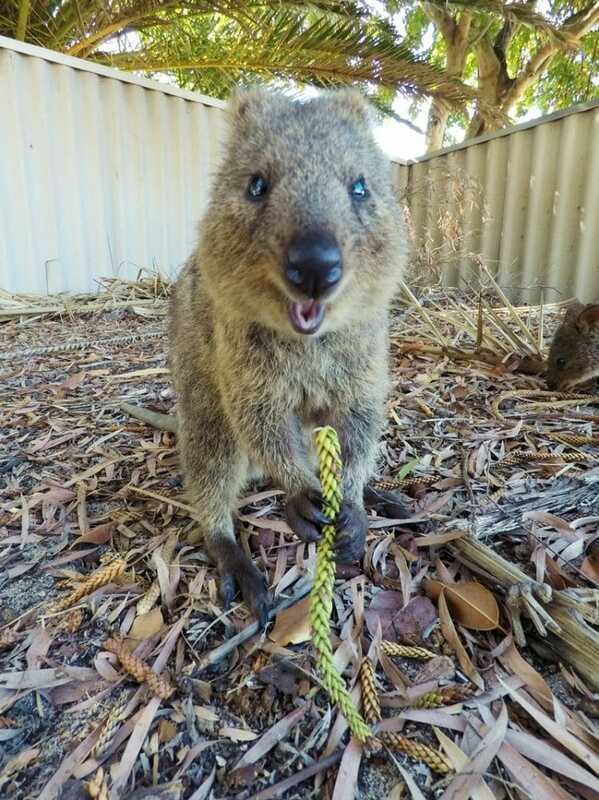 You had me at quokkas!!! Same here, the first time I saw a photo of these cute animals, it has been a dream of mine to see one (and take a selfie with one). Haha! So sad to find out that you can’t touch them though! 🙁 Bookmarked your page and also sent the link to my hubby. He said we’ll visit one day! I hope you get to visit one day, Nadine! They are so cute but I hear they can deliver a bad bite! Okay so the water looks divine and everything looks gorgeous… BUT THOSE QUOKKAS!!! Oh my god they’re so cute I can’t stand it! Oh my goodness Kristina they just look SO DARN HAPPY! Oh the quokkas! And snorkelling! This place really looks like heaven and those little animals look like they are always smiling, my kind of people! Wouldn’t mind going for a trip there! Such a great day trip destination! I absolutely loved it and will definitely be back. Thanks for checking this out! 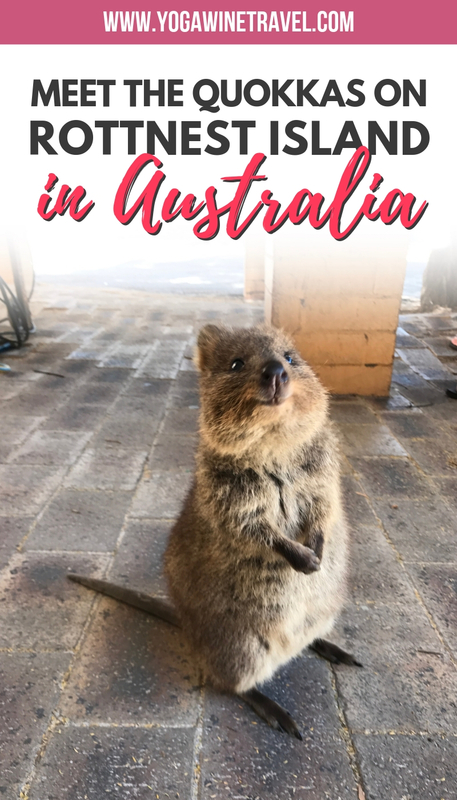 I was already dying to see kangaroos there and now you have added Quokkas to the list! I hope I get there before I become extinct! Fantabulous captures. I can’t wait to hear about your trip and what you have planned! This is definitely a perfect getaway plan. Sounds like a fun day. There is so much to explore in this island. 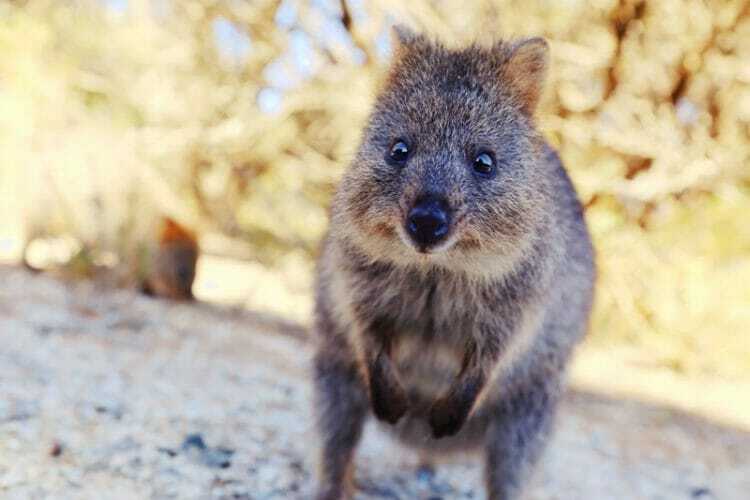 Quokkas are so cute. 🙂 Loved all your pictures! Rottnest Island was really special, I definitely will plan to make another trip there in the future! I have heard so much about the beauty of the West Coast of Australia and I can’t wait to go see it for myself. I would love to get a selfie with a quokka like you did! They are so cute! You are looking awesome by the way on that photo! And what about the beautiful beaches! I had no idea the water would be similarly turqoise as it is on the East Coast. I’ll be pinning this for the future! wow this is so pretty! and those creatures are so adorable!! I love me a cute animal pic haha!! thanks for sharing on flyawayfriday and can’t wait to see what you share this weekend!! cant wait to take a picture with quokkas. they are super cute. 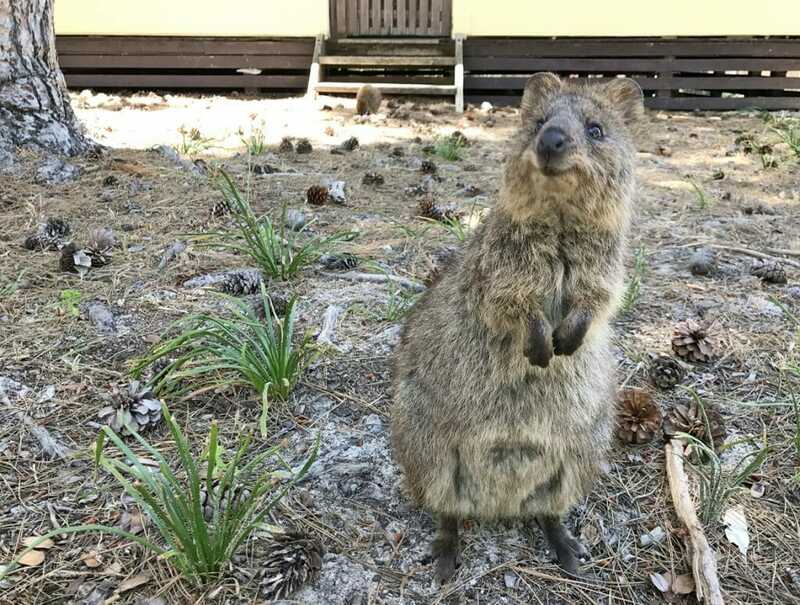 may i ask, if i visit the rottnest island during winter, can i still meet the quokkas? 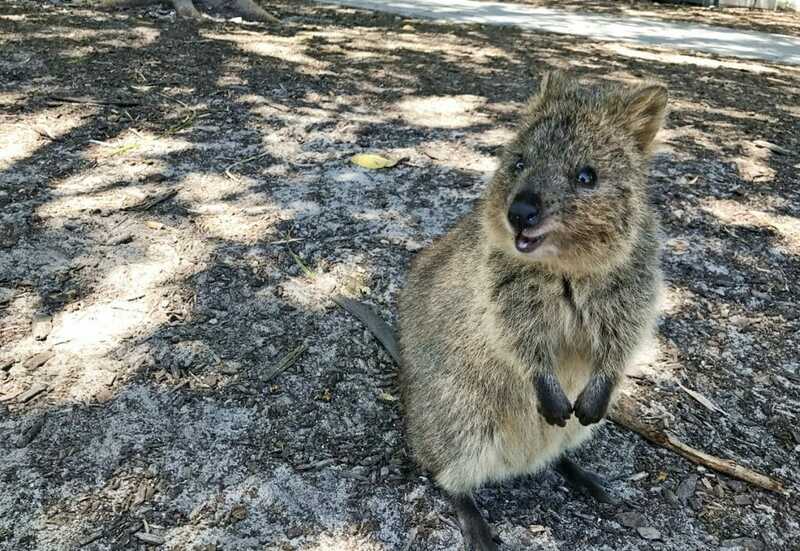 Hi Andrea, the quokkas are wild on Rottnest Island so yes – you’ll still see them during the winter! Just be sure not to feed or touch them. Have a great trip!